Characterized By Short Actuating Times, Optimized Actuating Forces, And Reliable Tight Sealing. GKV18C/16N/16H Control Valves Are Also Available With Electric Or Electrohydraulic Actuators. The GK2300 Digital Positioner Is A Multi-Functional Interface With Integrated Bus Support For The Controller Or Process Control System. Installation And Mechanical Connection To The Valve Actuator Are Compliant With VDI/VDE 3847 Guidelines For Open, Non-Proprietary Concepts. From The Stuffing Box To The Hermetically-Sealed Bellows, This Stem Seal Can Be Tailored Exactly To The Process Fluid, Pressure, And Temperature Required. The Design, Stem Surface, And Packing Material Complement Each Other Perfectly To Avoid Problems With Friction, Corrosion, And Emissions. Our Design Connects The Valve Housing And The Bonnet In The Force Bypass, And The Housing Seal Is Clamped In Place Preventing It From “Yielding”. These Are Specially Designed For The Prevailing Flow Conditions In Your Plant. The Shapes Of The Throttle Valves And Valve Seats And The Material From Which They Are Made Are Optimized To Meet Your Requirements. Our Valve Seats Integrate The Unique Quick-Exchange System And Can Be Replaced Without Special Tools. The Float-Mounted Clamping Seat And The Metal Or Soft Seal For The Valve Seat Ensure Leak-Tight, Reliable Sealing. 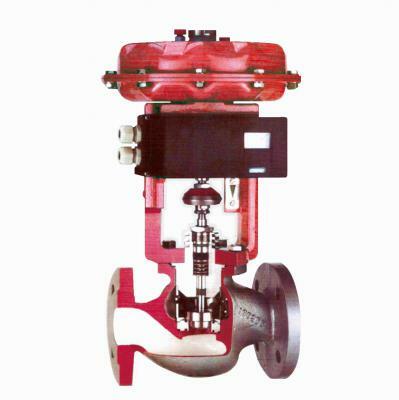 Pneumatic Diaphragm Control Valve Specification.